Two fugitives fighting extradition to South Florida on drug trafficking charges said they wanted a cooperating witness to testify on their behalf. During a court appearance before Deputy Chief Magistrate Carolita Bethell yesterday, Gordon ‘Hog’ Newbold and Sheldon ‘White Boy’ Moore said they planned to give evidence in defense to the allegations that they participated in a drug smuggling gang headed by Melvin Maycock Sr. They also said they wanted Becket William Turnquest to testify for them. Turnquest waived his right to contest extradition in 2003 to charges of conspiracy to import cocaine and marijuana into Florida. Turnquest, 40, who was named in the same indictment as Dwight Major and his wife, Keva, pleaded guilty and received a reduction in sentencing due to his role as a cooperating witness. Turnquest gave a deposition implicating Newbold and Moore in drug trafficking. Maycock Sr. also said he planned to take the witness stand, however, he was unable to confirm whom he would call as a witness. The remaining fugitives, Trevor Roberts, brothers Lynden Deal and Bryan Deal, Shanto Curry and Devroy Moss said they would remain silent but call witnesses in their defense. Lawyers Murrio Ducille and Jerone Roberts, who appears for Roberts, Moss and Newbold, said they wanted the officers who were responsible for the upkeep of the recording devices that were used to tap the fugitives’ phones. 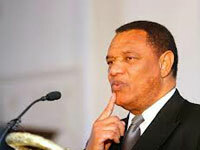 Franklyn Williams, the deputy director of public prosecutions, said that there was no legal basis for the request. The lawyers will return to court on February 19 at 1 p.m. to argue the issue. 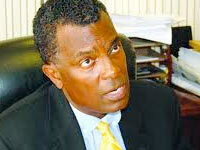 Senior Justice Jon Isaacs lifted a stay on the extradition proceedings before the magistrate last Wednesday. The fugitives had initially refused to participate in their defense after claiming that Bethell had no jurisdiction to hear the matter while an appeal regarding the constitutionality of the Listening Devices Act was before the Privy Council. They sought a stay after Bethell set the matter down for decision. The matter has been outstanding for almost 10 years due to a series of constitutional motions challenging various legal issues.